Today’s Media Preview was a contrast of 2 stamp issues to be on sale on 04 December 2017. It was also special as the Pos Malaysia Group CEO Datuk Mohd Shukrie Mohd Salleh was on hand together with a LEGOLAND mascot for the Media Preview. The first item is the “sequel” to the 150 Years Straits Settlements. The date of issue is 01 December 2017. However, since 01 December 2017 is a Public Holiday, the single Miniature Sheet will be sold on 04 December 2017. In December, 150 years ago, the stamps used in the Straits Settlement was finally released with the words Straits Settlements rather than the initial overprint on India stamps (that was on 01 September). A 150 Years Straits Settlements exhibition launch is planned in Dewan Sri Pos on Level 3 of the General Post Office Kuala Lumpur. The exhibition will run from 04 – 10 December 2017. This time LEGOLAND characters will appear for the Stamp Week issue on 04 December 2017. With characters from Ninjago, Lego City the Movie, etc., it will appeal to the younger crowd. The Stamp Week runs from 04 – 10 December 2017 at the Main Lobby of the General Post Office Kuala Lumpur. 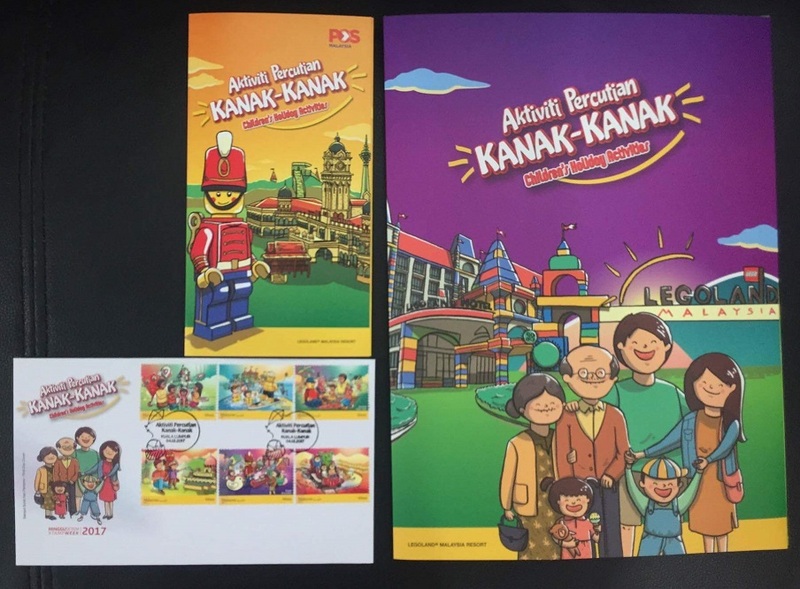 A free LEGOLAND voucher (Kids Go Free) will be given to each purchase of FDC. Trivia: Did you know that this will be the first “Lego” stamps in the world? Acknowledgement: Many thanks to NH and Pos Malaysia for the coverage and details from the event. 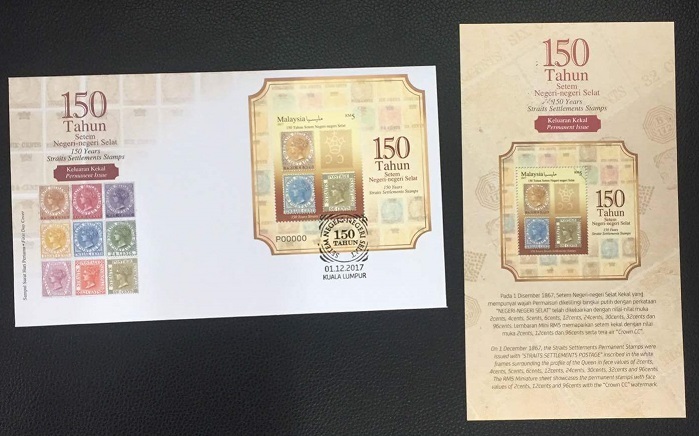 Can anyone help where to buy the coffee table book of 150 years Straits Settlement stamps? The coffee table book is to be published by Pos Malaysia for libraries around the country. The original intention was to distribute the knowledge to the general public via libraries and there was no news of selling to the general public. There has not been any updates since the launch event.